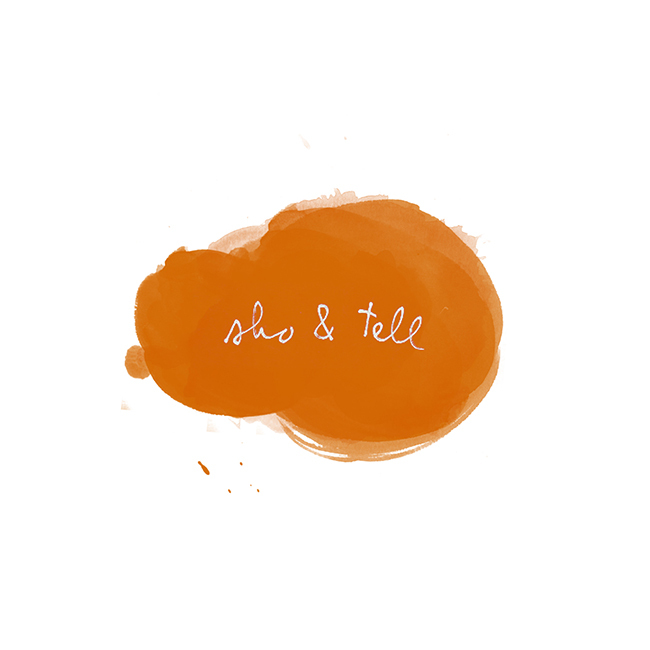 sho and tell: POV: An Introduction. POV ("point of view") is a new series I hope to begin featuring regularly on Sho & Tell. I’ll be writing about many of the same themes I addressed in my Equals Record column: growing up, saying yes to adventure, learning to embrace a quarter-life crisis. Each POV entry will include a photograph (most likely an Instagram, as I’m learning to embrace that, too), and a short reflection based on what’s pictured. The idea is a work in progress, so I hope you’ll bear with me as I sort out the kinks. I was walking to meet a friend for pie. It was mid-morning, two weeks ago, and the sky, freckled with snowflakes, was a silvery gray, the color of tin. I stomped, as I like to do in the snow, and listened to a bird somewhere in the air above me. I tried to think if this was a sign of spring. It was cold, though. And wet. I remember that clearly. I remember two other things very clearly about that morning: the first was that someone I loved told me he thought the way I lived my life was more “eighteen than twenty-eight.” And hours later, I found out that my roommates would be moving out of our apartment in two months’ time, and I’d have to find a new place to live. The following weekend, I strolled my neighborhood in the sunshine, daydreaming about where to move. As I walked, I looked up at the buildings around me, buildings I’d passed countless times in the two years I’d spent living in the area - and I realized, bewildered, that I’d never really seen them before. I’d seen the painted doors, the brick facades, stoops the color of rust. But looking upward, I discovered something else. The tops of New York apartment buildings, it turns out, are a wonder. The fading colors, the detailed moldings, the crumbling bricks - noticing these things reminded me that I live in a city with history, a city that has anchored me as I build a history of my own. Often, I’ve realized that I, too, notice only what’s in front of me. Cracks in the sidewalks, mannequins in store windows, endless traffic. What I choose to focus on – whether it’s an object in my field of vision or a conversation that made me cry – is, more often than not, peripheral. I looked up. There, in a window one floor up, was a face, smiling. “Hello,” I said back. Looking up, I've found, reveals much we wouldn't see otherwise. Things we miss when we're lost in thought, looking straight ahead. Faces, colors, open windows. Future homes. Snowflakes. Birds. Photo by my friend Emily Johnston Anderson - find her on Instagram at @ejaphoto. You can follow me, too, at @my_shokoko. Have a wonderful weekend, and thank you so much for reading!